The Hengstenbergs have their hands full with three children in car seats and Sawyer, who is in a wheelchair. Sawyer is a very sweet little girl who has been through many things already in her short life. Sawyer was born without a heartbeat, breath or life due to delivery complications. Doctors performed CPR for 30-40 minutes while trying to get a heartbeat. A ventilator was put in place to assist her in breathing and to supply oxygen to her brain. While all this was happening, nurses applied many bags of ice to her head to keep her brain from bleeding. Once Sawyer was stable, she was air lifted to Mercy Hospital St. Louis to the NICU. Sawyer was put on a cold bed for three days to allow her brain time to heal, which she did. Once we were home, she continued to make progress toward healing. At six months we hit another obstacle; Sawyer was diagnosed with Cerebral Palsy. Cerebral Palsy is a disorder of movement, muscle tone or posture that is caused by damage that occurs to the immature, developing brain, most often before birth. Living with Cerebral Palsy can make it difficult for people to move about as easily, especially when it comes to getting in and out of a vehicle. That same day she was also diagnosed with hip dysplasia. Since her diagnosis, Sawyer has had two hip surgeries. The last of which was a really rough recovery for her. She was recently diagnosed with asthma due to all of the respiratory viruses. This past year she has started to have seizures. She was diagnosed with Seizure Disorder (Epilepsy). We are continuing to work on her feeding, sensory issues and talking and moving. 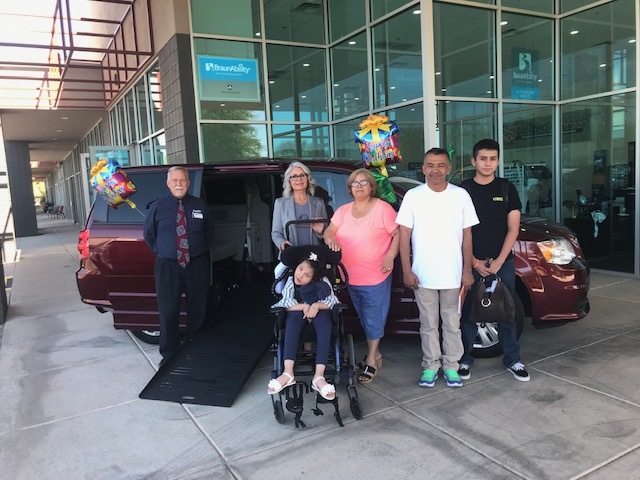 Thanks to a few generous organizations such as the Steelman Family Foundation, Missouri Assistive Technology, and Varity the Children’s Charity of St. Louis along with several other generous donors, the Hengstenberg family will be driving away in their new 2016 Northstar E Dodge Caravan this Friday at the United Access corporate headquarters. 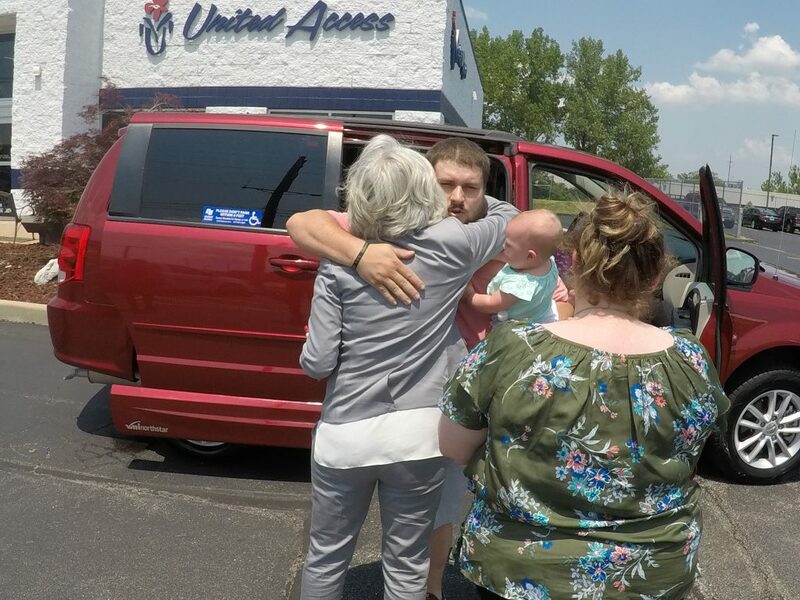 “The stories we hear every day and the smiles we see on our customers faces when they drive away for the first time, fuel our passion for the work we do,” said United Access Founder, Richard May. All in, Sawyer is a healthy, happy, normal little girl. Yes, she has physical disabilities but that doesn’t change who she is. She will brighten anyone’s day and everyone she meets just falls in love with her smile. Everyone here at United Access wishes all the best to little Sawyer and all of the Hengstenberg family.